McLaren has unveiled a new car that it has dubbed a hyper-GT and the car has the codename BP23. Like the glorious McLaren F1 of yore, the BP23 will have three seats. Presumably that will mean the driver is in the dead center of the car with the passenger seats behind and to each side. The BP23 will have a hybrid powertrain and will be the most powerful and aerodynamic road McLaren ever made. McLaren will only build 106 examples of the car and it says all of them are sold already. 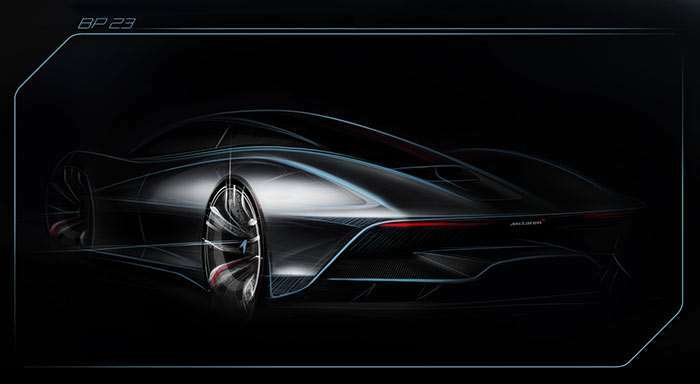 The car is being developed by McLaren Special operations right now with the first examples set for 2019 delivery. This should be a very impressive car and I am looking forward to learning more about it. McLaren hasn’t stated when the full details of the car will be revealed.